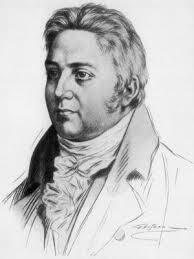 Samuel Taylor Coleridge (1772 –1834) was an English poet, literary critic and lecturer, and is considered one of the most influential poets of the Romantic period. A loner who loved to read and enjoyed writing poetry even as a child, Samuel suffered from poor health throughout his entire life—a condition not helped by his addiction to opium and his ongoing depression. His was not a happy life, but he left behind a significant legacy. I like this poem. I wrote a palimpsest of it once and enjoyed its rhythm. Oh, yes. A relentlessly wonderful poem. "But oh! that deep romantic chasm which slanted/ Down the green hill athwart a cedarn cover!/ A savage place! as holy and enchanted/ As eâ€™er beneath a waning moon was haunted' By woman wailing for her demon lover!/ . . . It's too bad we've mushed up the meaning of the word "Romantic". We wouldn't have the environmental esthetic without them. They taught us how to appreciate nature in more than a utilitarian way. Great to read this old classic, and let the imagination soar. Hadn't read this for years! I love its music. I have a hard time imagining a reader who would willingly skip this one! Often reputed to stand in the shadow of the Colossus of Wordsworth, for my money [at his best] by far the more stimulating poet - Coleridge should not be held responsible for later linguistic evolutions that have made his 'thick pants' so amusing in this poem. The story of the Person from Porlock is also a good one when we are considering the nature of 'poetic inspiration' - excellent choice, this poem - thanks.